MSV: Mayor Zimmer: here "through at least December 2017"
Mayor Zimmer: here "through at least December 2017"
"In response to your question about my future plans, I was honored to be elected by the people of Hoboken in 2013 to a second four year term by a margin of more than 12 percent over my closest competitor. My team has accomplished a great deal over the last five years, but there is much work left to be done. I look forward to continuing to serve my community as Mayor through at least the expiration of my current term on December 31, 2017." 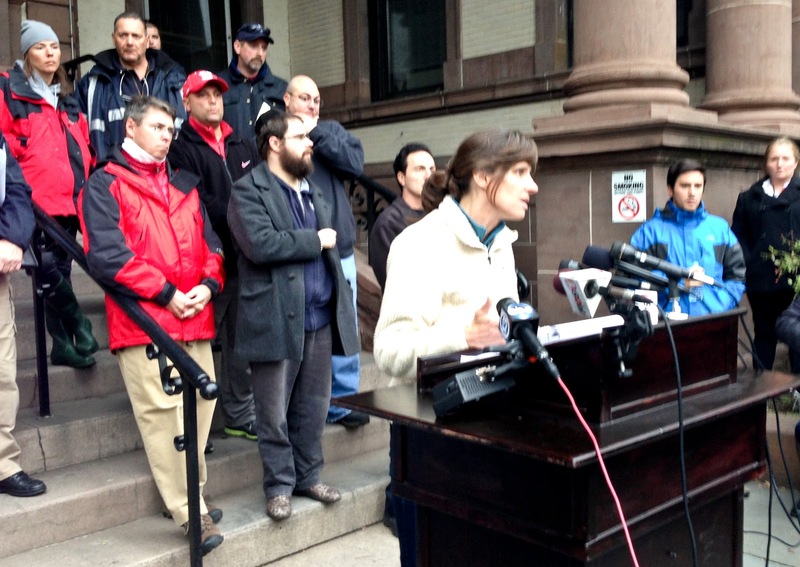 Mayor Dawn Zimmer seen here during the 2012 Hoboken Sandy emergency outside City Hall made a definitive statement to the continuous month long rumormongering by the Hudson Reporter saying she's mayor "at least through December 2017. Ouch, that's gotta smart. City Council @ 7:00 - Angel Alicea settlement?